SeaWorld Entertainment, which saw a sharp dip in attendance this year, will eliminate about 320 jobs, the company announced Tuesday. The job cuts will take place in all 12 theme parks, which include SeaWorlds in Orlando, San Diego and San Antonio, as well as Sesame Place in Pennsylvania and its Busch Gardens in Florida and Virginia. Employees affected were informed on Tuesday. The company submitted an SEC filing in connection to the restructuring, noting that the move is part of a previously revealed program that should reduce costs by about $65 million. According to the filing, the positions will be eliminated by year's end. The theme park company went through a similar round of layoffs in 2014, when it let more than 300 employees go. SeaWorld Entertainment (SEAS) has had a rough couple of years. It's seen its stock plummet and attendance fall. In an August earnings report, the company revealed that 494,400 fewer guests attended it parks in the first half of 2016 compared to the same period last year, a decline of 7.6%. It said most of the decline came from its five Florida parks. At the time, SeaWorld attributed the dismal turnout to poor weather in Florida and a drop in Latin American tourists. The company's reputation took a hit in the wake of the release of the 2013 documentary "BlackFish," distributed by CNN. "BlackFish" highlighted the dangers of holding killer whales in captivity, focusing specifically on a SeaWorld orca that killed three people. 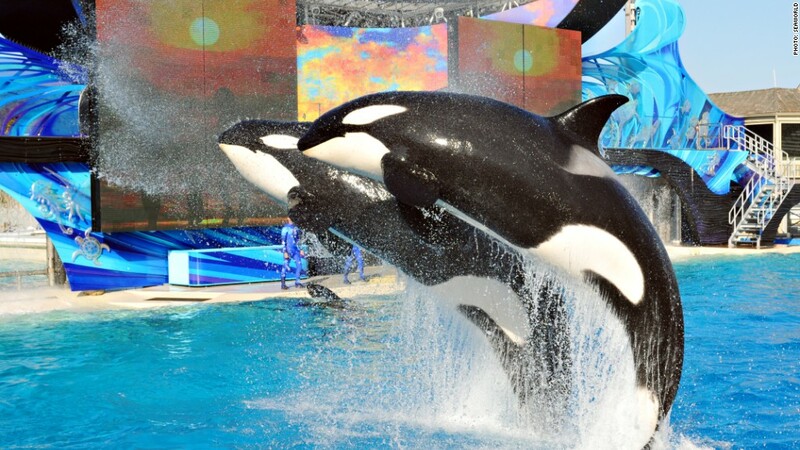 Though SeaWorld has disputed points raised by the film, it announced this year that it will phase out killer whale shows and stop holding the animals in captivity. The layoffs announced Tuesday include both hourly and salaried employees, and those affected will receive severance benefits and "outplacement assistance," according to SeaWorld.